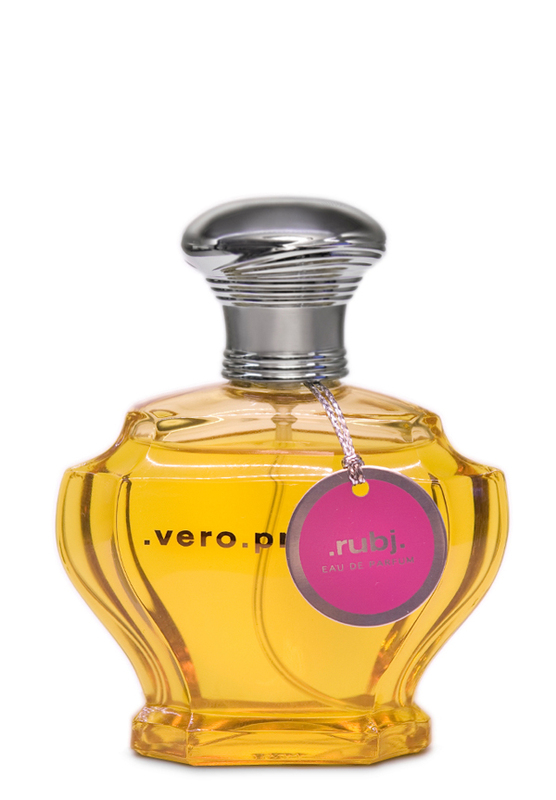 Vero Profumo Rubj (say “ruby”) EDP is a night-blooming tuberose, tropical fruity floral. It’s hot and humid with juicy, equator loving fruits. I’m not a dancer and I’m not even interested in going out dancing for fear of hurting myself physically and/or embarrassing myself beyond repair. But, I love the idea of getting dressed up to go dancing, red dress and matching lipstick, seductive opera gloves, and cha-cha heels. Rubj EDP is like my “salsa dancing” fantasy scent in luxury perfume form. It’s hot, humid, and the fruits remind me of a mixed drink. OK, it’s seductive. My clumsy self can wear Rubj without embarrassing myself 😉 But, I may be stumbling over the intoxicating aroma of Rubj EDP. Rubj EDP opens up as an indolic white floral mix with heady orange blossoms and tuberose. In the background there are glimmering fruity notes of juicy tropical fruits and citrus. It’s intoxicating and a must try for the white floral lover. There’s juicy passion fruit that does remind me of Jumex, imagine a nectar-like sweetness and strangely, it’s complex. This passion fruit is sweet but vulgar, ripe. Within 30 minutes, I do get a little spice. That kind of spice from masculine neroli eau de colognes. With more time, Rubj becomes even more provocative. Tuberose and cumin. That’s all I need to utter. The dry-down is an awesome blend of white florals and cedar. Rubj EDP wears and wears. I often ignore the dry-down because I forget that I’m wearing Rubj. I’m usually asleep during the dry-down! This EDP is also very potent. One spray is enough for even me. Rubj EDP is supposed to be a lighter version of the Rubj Extrait but it isn’t watered down. Rubj EDP still has some <umph> and the indoles are still there but they aren’t running rampant. They are being lassoed in by tropical fruits. I can see you fruity-floral haters wrinkling your nose…but Rubj EDP has some soul and some killer moves. This isn’t some mass market fruity-floral with generic pink packaging. Rubj EDP has the confidence and the powers of seduction of Cyd Charisse. Out of the EDPs, Rubj is my favorite and I may go as far as to say that I like it better than it’s Extrait older sister. I went that far. Notes listed include bergamot, mandarin, neroli, passion fruit, cumin, orange flower, tuberose, basil, cedar, oakmoss, and musk. I can’t urge one to try Rubj fast enough. Rubj EDP is a burlesque fruity floral that gives me more confidence than a couple of shots of Jack Daniels. Rubj has a charming 50’s vintage fruity-floral feel except it’s actually better than 90% of the fruity floral from the era (or any era). A bottle of Rubj should be wrapped in satin opera gloves. The only 2 things you may wear for the evening <wink> <wink>. Like I said, it’s a voluptuous burlesque perfume. Hmm…I thought I started out talking about salsa dancing…oh, well, either dance is seductive and you’ll want to wear red lipstick! The 1.7 oz. of Vero Profumo Rubj EDP retails for $195. It is available at Lucky Scent. *Disclaimer – A sample of this perfume was supplied by Vero Profumo. I am not financially compensated for this review or any others. My opinions are my own. I really like this the best of the three EDPs. I get lots and lots of cedar throughout the wear – it’s very odd but not at all bad. It’s weird because the cedar doesn’t show up on me until like 4 hours of wear. I mainly get tuberose, passion fruit, and cumin. I knew you’d love l’AdDM. And that is why perfume is fun! I can’t get enough of l’AdDM. Great site. My thanks for taking the time. I will definitely come to this site to see what’s new and recommend my neighbors about this.